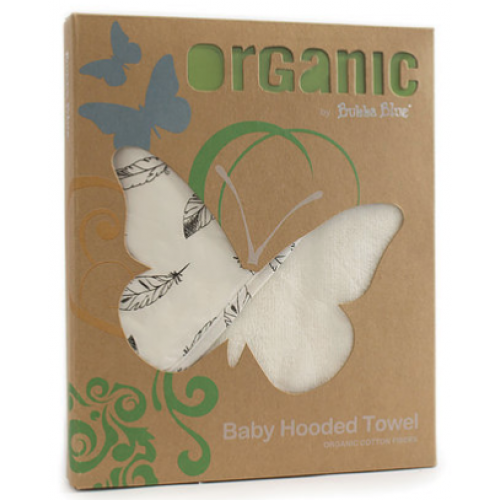 The Bubba Blue Organic Cotton Hooded Towel is a beautiful baby Organic Cotton Hooded Towel and is the perfect way to end your baby’s bath time. 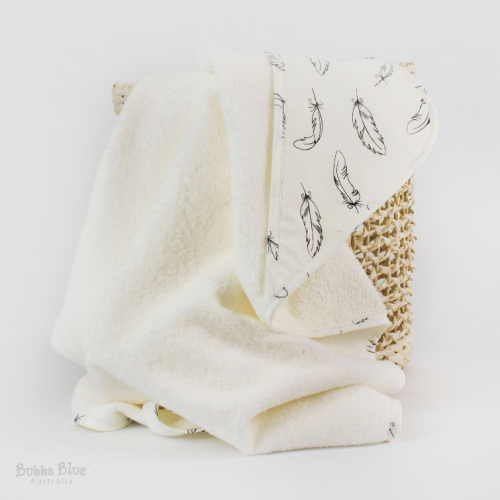 Luxuriously soft, it’s also highly absorbent. Plus with its own lined hood, babies look simply adorable in it. 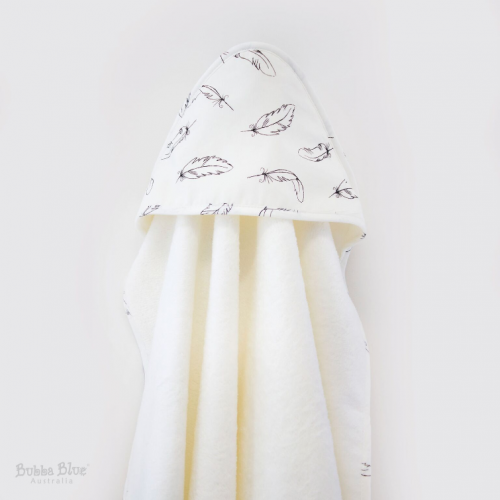 Available in natural colour with 'Feathers' printed hood and bind.